Barack Obama has announced an increase of $6 billion dollars in NASA's budget over the next five years, but has decided to cancelled the "Constellation Program", NASA's mission to send humans back to the moon by 2020 and for a manned mission to Mars by 2050. The news comes as no surprise as the US economy continues to struggle. Constellation had been heavily criticized since it was unveiled in 2005 by President George W. Bush. 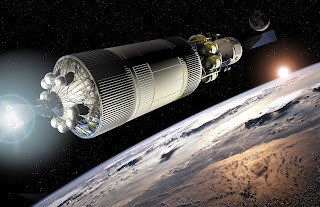 Even before the plan was announced, some scientists pointed out that manned exploration has drawbacks, such as high costs, extreme safety requirements, and humans’ biological sensitivity to radiation. Obama is also proposing subcontracting some of NASA's future missions to the outer atmosphere to private companies, when the Space Shuttle completes its final mission this year.